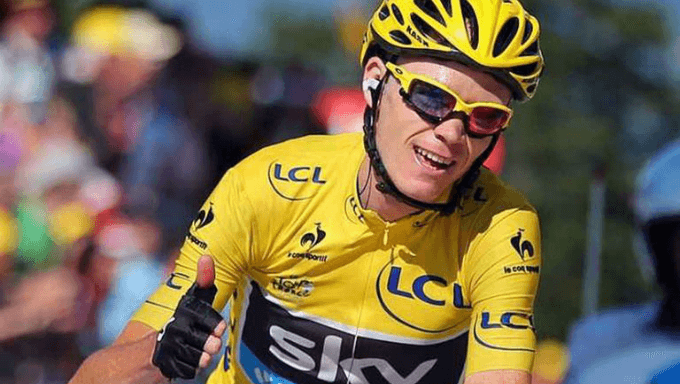 A lot has been written about Chris Froome this year, with his Salbutamol case hanging over him as he bids to go for a Giro D’Italia victory that would make him the holder of all three Grand Tours at the same time – ahead of a bid for a fifth Tour de France. Whilst much has been written about his planned course of action, what are the realistic chances of him doing a double that was last completed by Marco Panatani? Of the Grand Tour doubles, the Giro-Tour double is actually the one that has been achieved the most, which might surprise some given the gap between the two races, with seven riders having completed it 12 times between them compared to three apiece for the Tour and Giro-Vuelta doubles, one of which was Froome himself. There have been six attempts at the double in the last 10 years, with two of them coming from Alberto Contador, a past rival of Froome, and perhaps the best example to use here, although just as recently as last year Nairo Quintana also attempted the double. Quintana finished second last year in the Giro, with the key differences eventually being the his decision to attack when Dumoulin had stomach issues on stage 16, and then the amount of time he lost against the clock to Tom Dumoulin (who’s 2/1 to win this year’s Giro with Paddy Power) through the race’s 66.1 kilometres of time trialling – he eventually ended up 31 seconds down at the line. He couldn’t repeat that form in France, however, staying relatively close to the action through the first week and a half before fading badly as the race progressed and finishing 12th, 15 minutes down. Froome of course, has done a ‘double’ before, taking the Vuelta to add to the tour last year, and there’s much in his favour on paper for a repeat bid. There were 27 days between the Champs Elysses in Paris and the start of the team time trial in Nimes – so 12 weeks racing. It’s interesting to look at how he managed the Tour last year; He won with no stage wins and little fanfare, having held off from hitting something like his peak before the Dauphine, where he was fourth. It should be interesting for cycling betting fans to note the amount of race days he had before – 23 in total – compared to the amount he’s had this season, 15. Nairo Quintana had 27 race days before the Giro last year, winning two stage races with a worst finish of just 13th in Abu Dhabi. Froome has had just 17 racedays in the leadup to the Giro, having raced only the Tour of the Alps at anything close to full gas as a team leader, so one might assume he’s holding more back in reserve. Froome is of course a brilliant climber but with six summit finishes including the Zoncolan, and there’s just 44.2 kilometres against the clock, pure climbers have the balance of power against time trialists in the Giro. The Tour’s route on paper suits him a lot more with three summit finishes, a 35km team time trial and a 31km individual time trial, although he will hope the rain stays away for the cobbled sector of stage nine – he crashed out in 2014 before he’d even ridden any of the sectors. By far Froome’s biggest issue. Last year the Giro had its strongest field in years which cleared the Tour route but now the tables are turned. In Giro not only a time triallist stronger than him in Tom Dumoulin but also top-class climbers in Thibaut Pinot (also as lightly raced as Froome this year and the French time trial champion) and the incredibly talented Miguel Angel Lopez, who’s 6/1 at Unibet, backed up by a stacked Astana team that includes Bilbao, Hirt, Kangert, Lutsenko, Luis Léon Sánchez, Villella, and Zeits. Should he win the Giro, Movistar’s fearsome squad of Nairo Quintana, Mikel Landa, Alejandro Valverde and Marc Soler could all be waiting and ready – along with Romain Bardet, Richie Porte and Primoz Roglic. Froome has a lot more going for him than those who have previously attempted the double, and the handy extra week between the two races is another help too. However, victory in the Giro is not guaranteed and for the first time in a Grand Tour he will have to face a team just as strong as Sky in the mountains. He could be short for both tours. If you think Froome could take it home in both competitions Paddy Power have a rider special at 7/2.